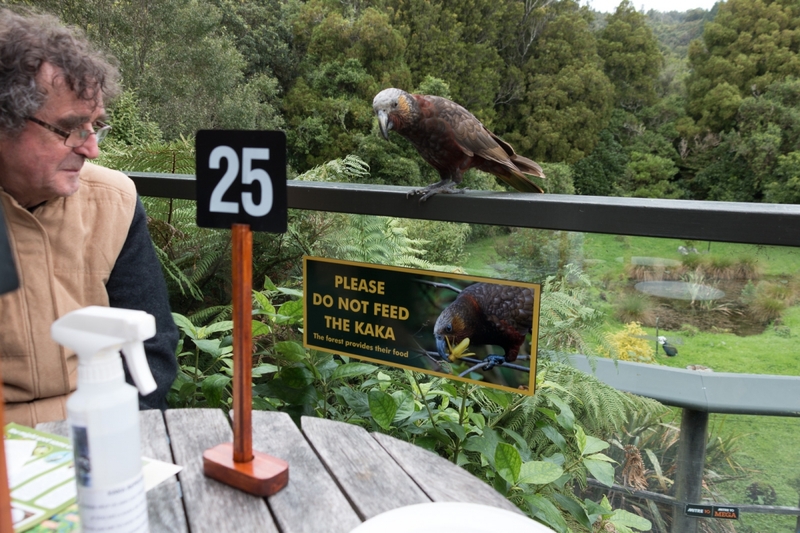 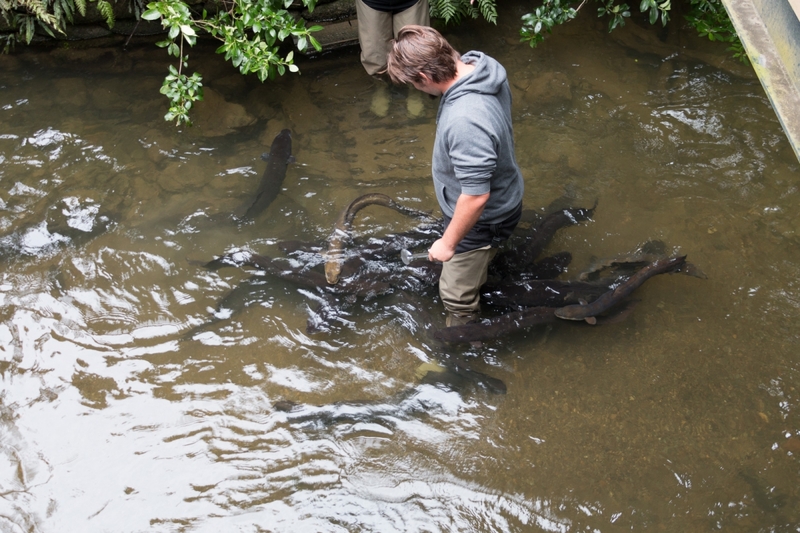 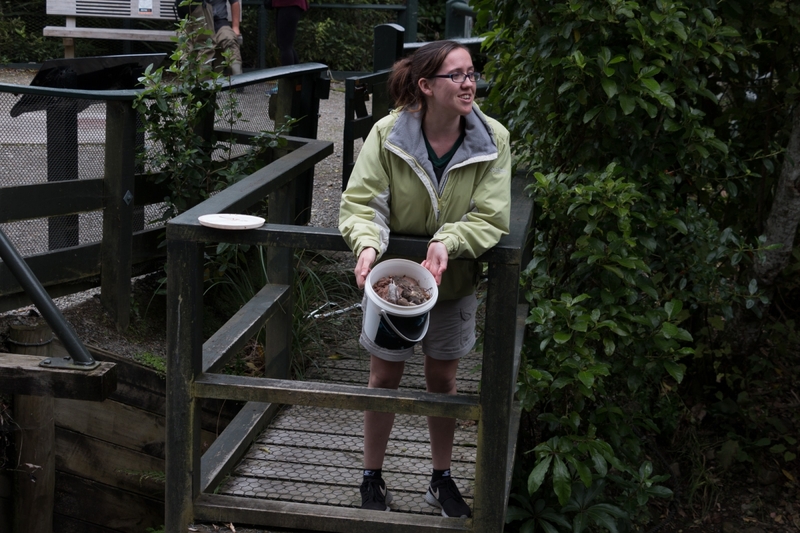 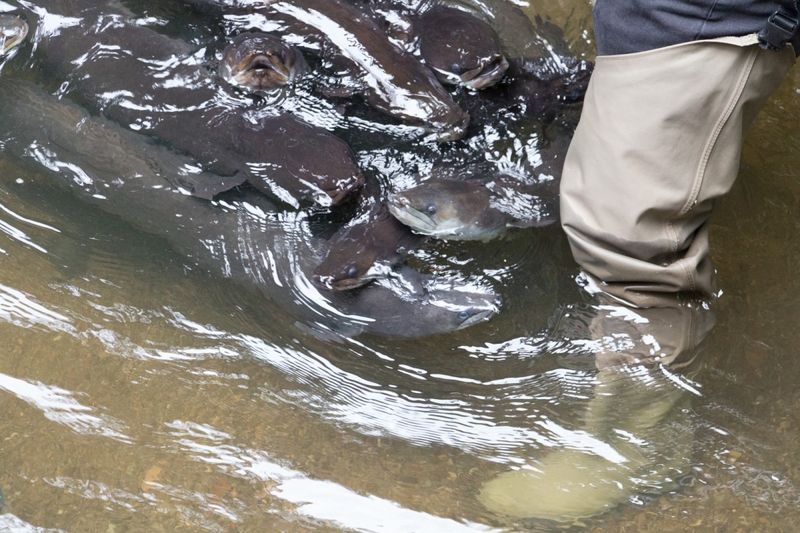 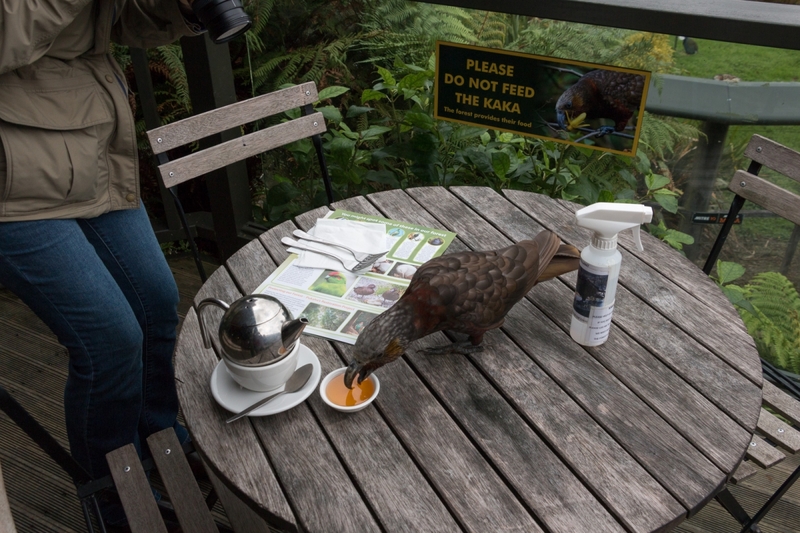 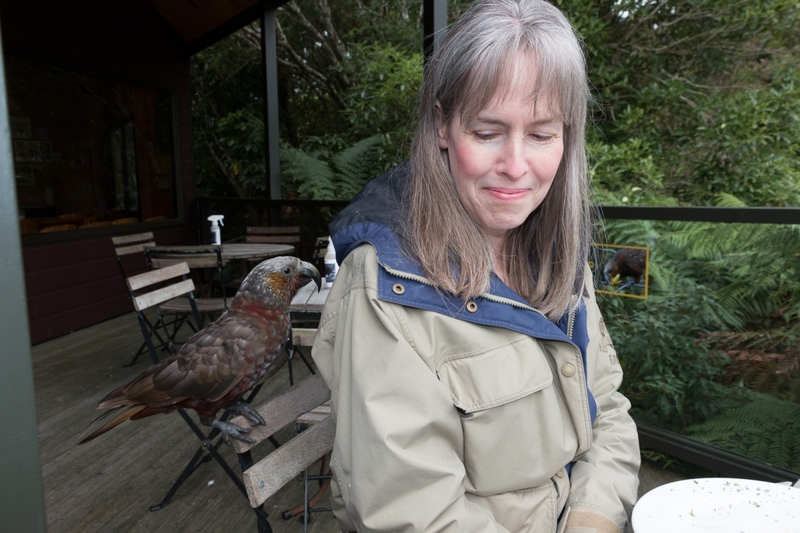 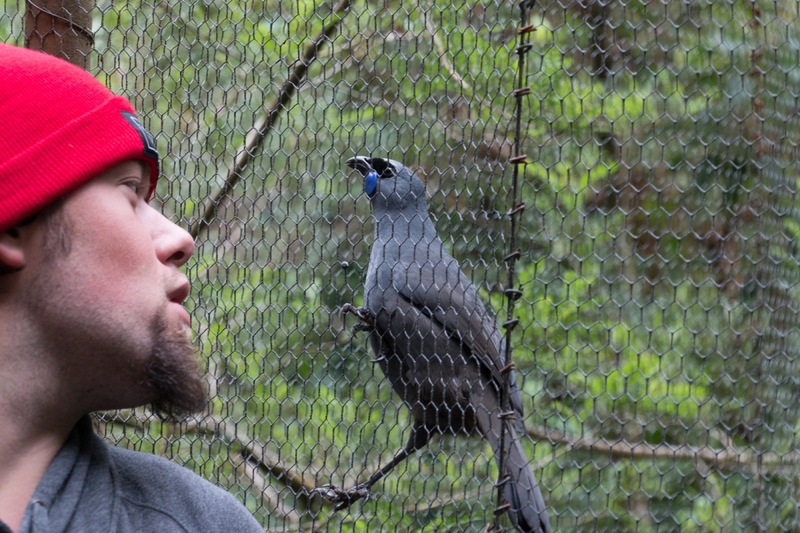 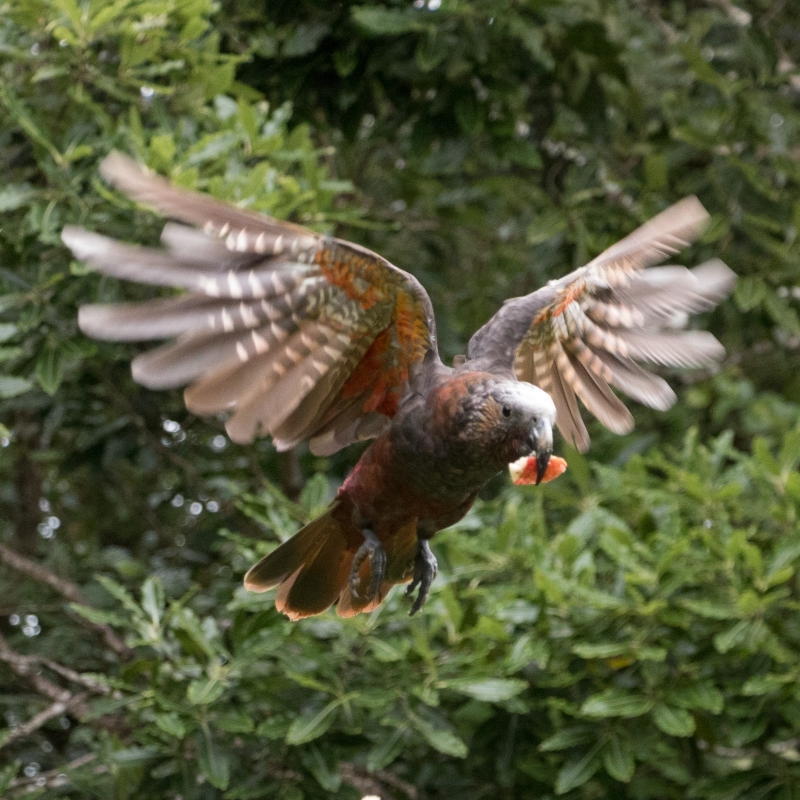 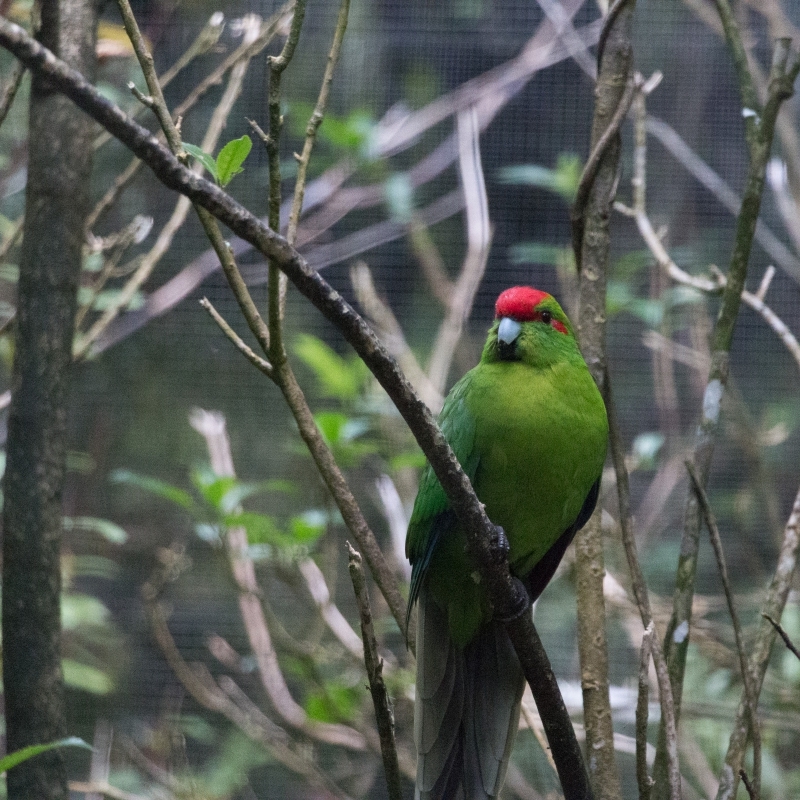 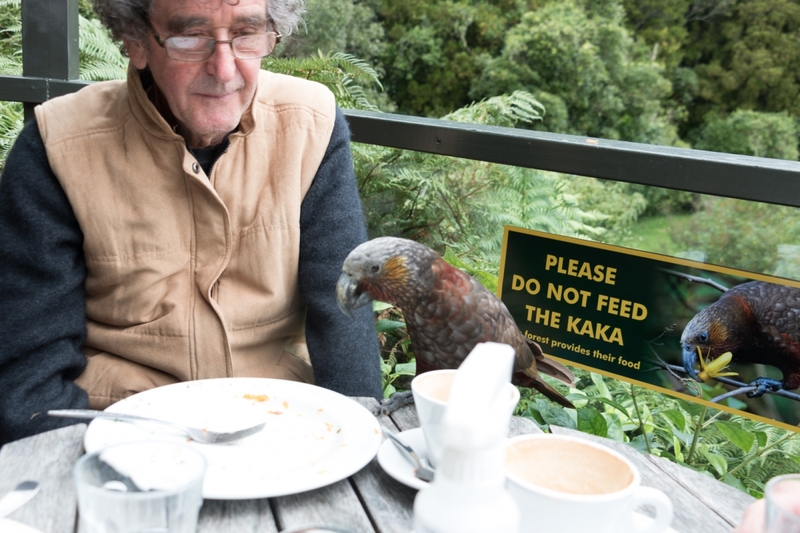 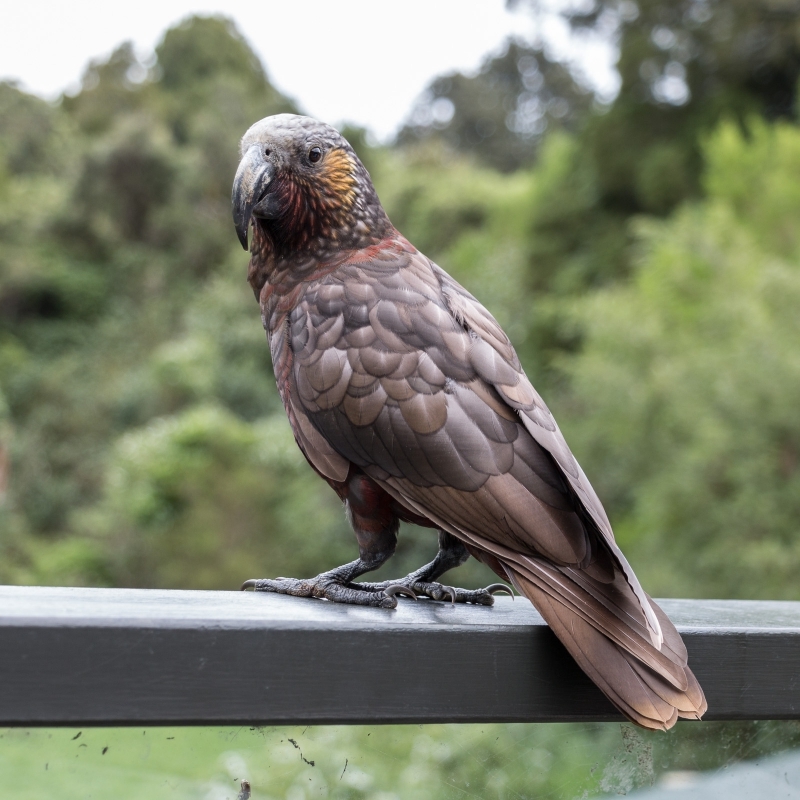 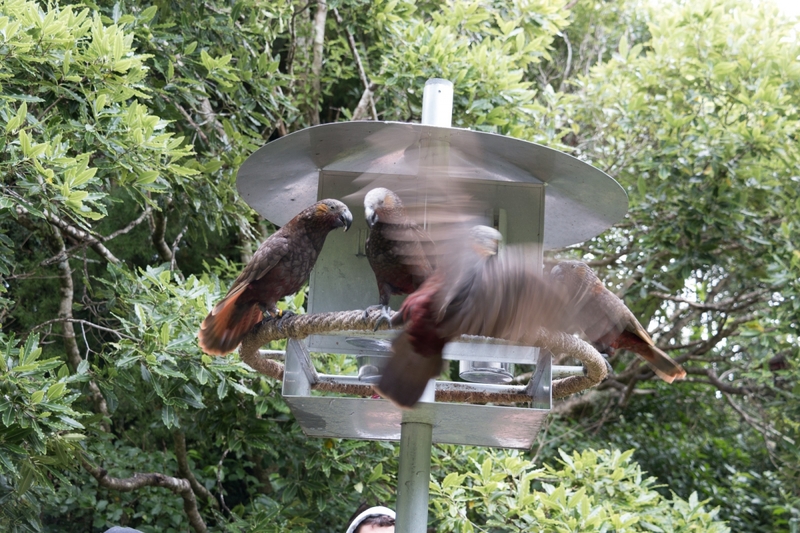 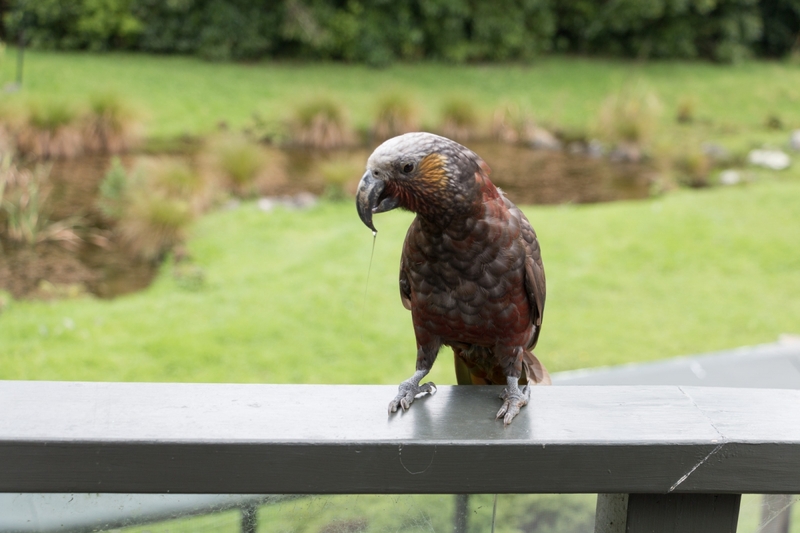 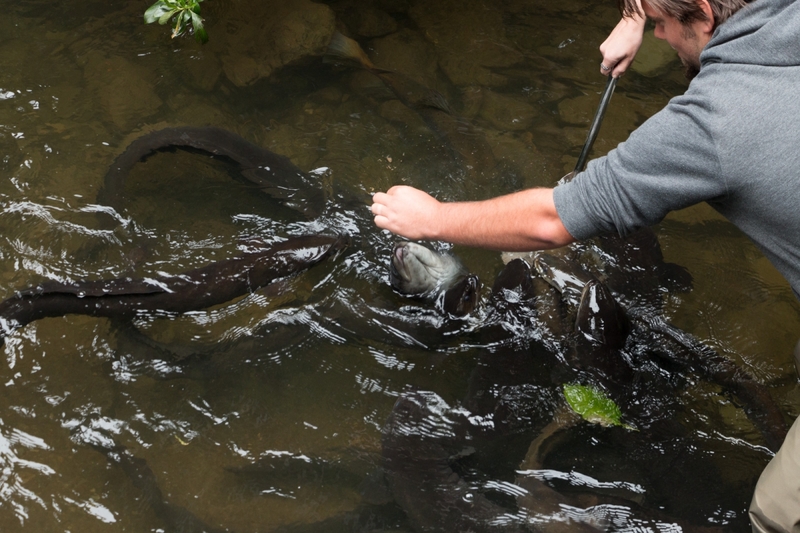 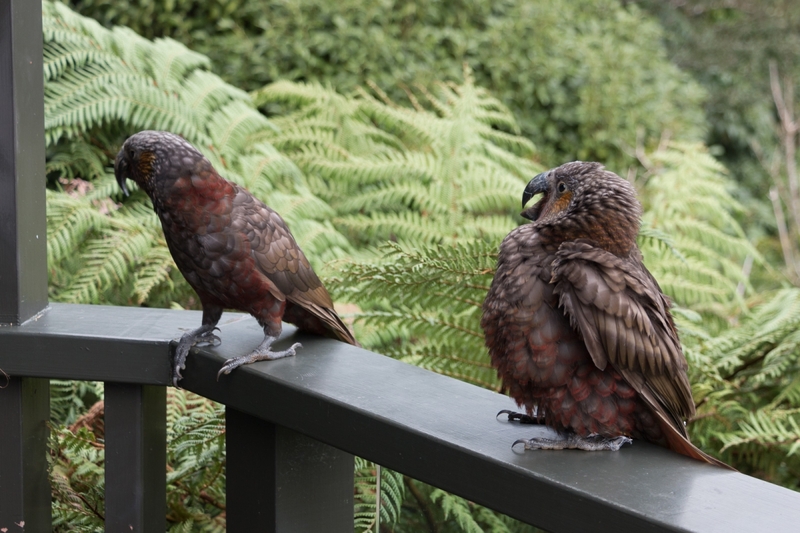 Another “must visit” on this trip to Wellington was the Mount Bruce Wildlife Centre. 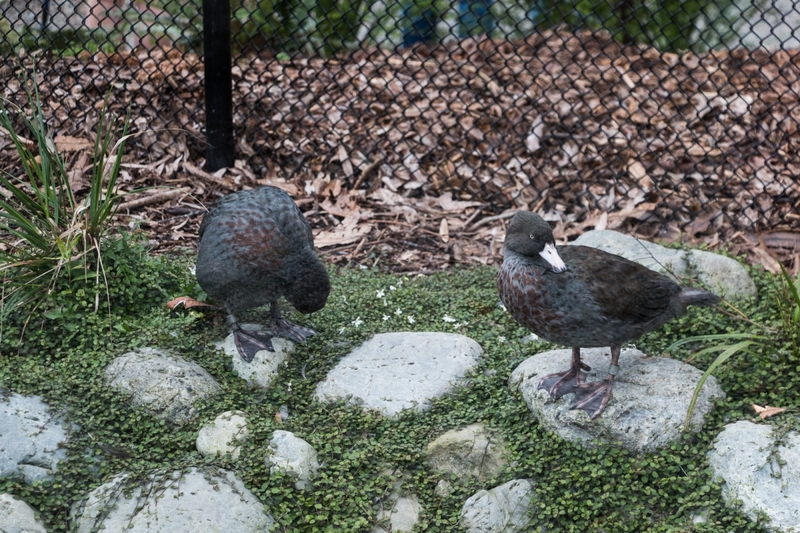 They are very well known for their captive breeding efforts of rare and endangered birds, and my particular interest was the Campbell Island Teal – a small flightless duck that had become extinct on Campbell Island, but which survived on an off-shore island. 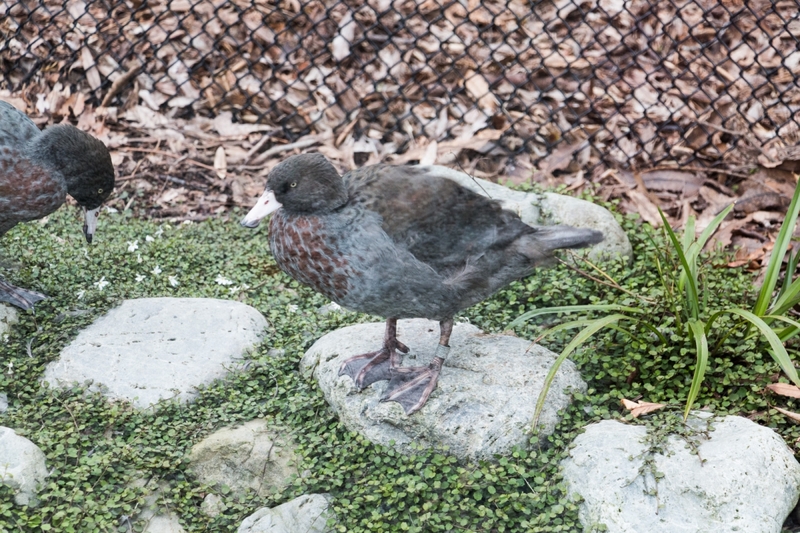 When I was at Campbell Island in about 1990 Department of Conservation (DOC) sent a team down to go to Dent Island to capture some of these teal to bring them to Mount Bruce to breed in captivity prior to the massive effort to remove the rats from Campbell Island, after which the Teal would be returned. 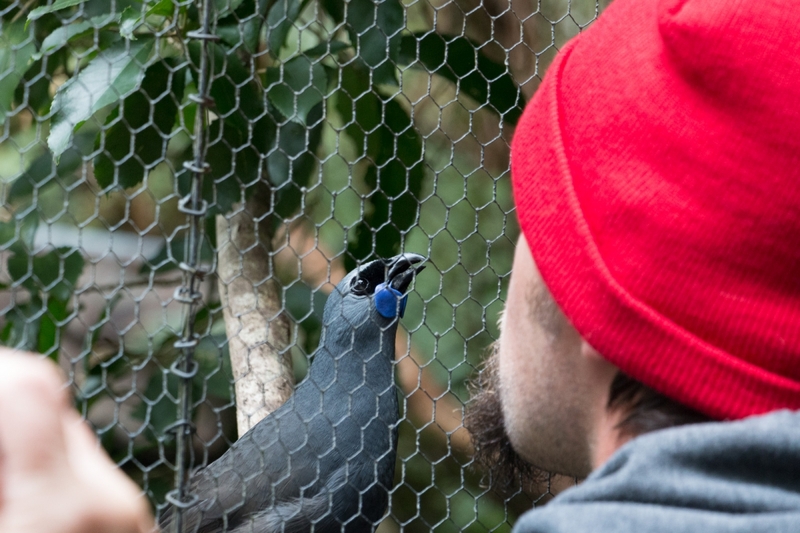 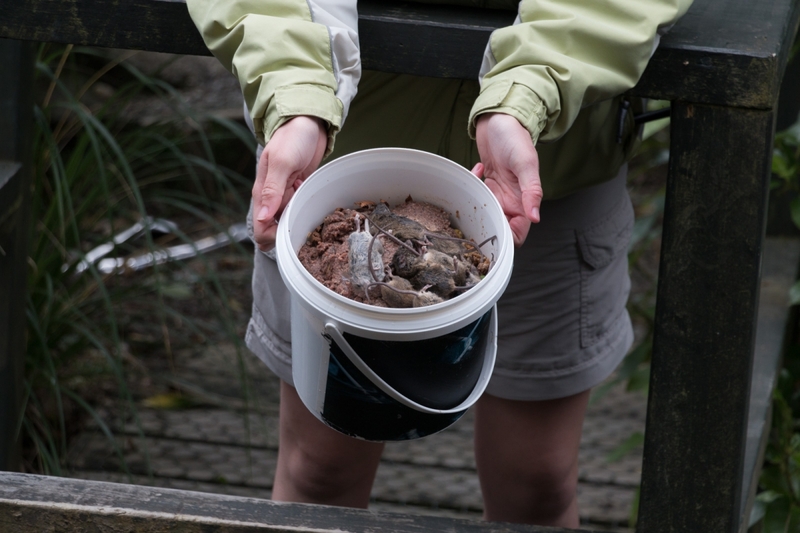 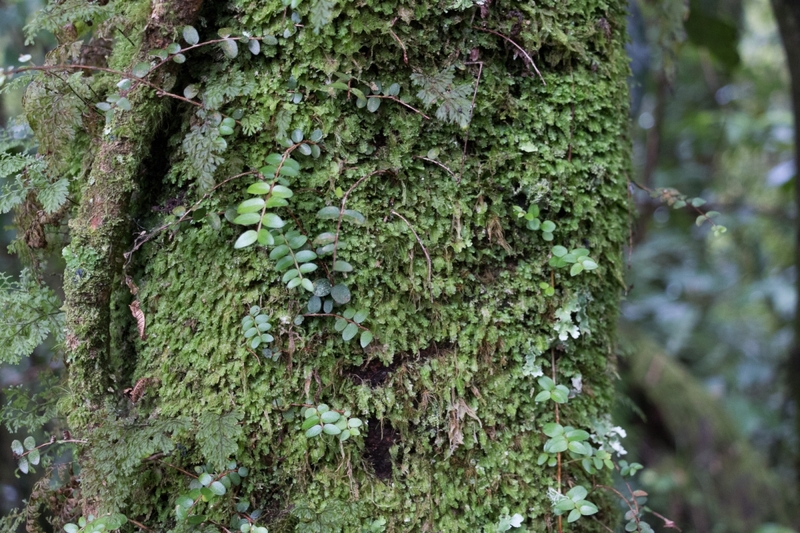 This was all remarkably successful – rats gone, teal bred and over 150 of them were returned to Campbell Island. 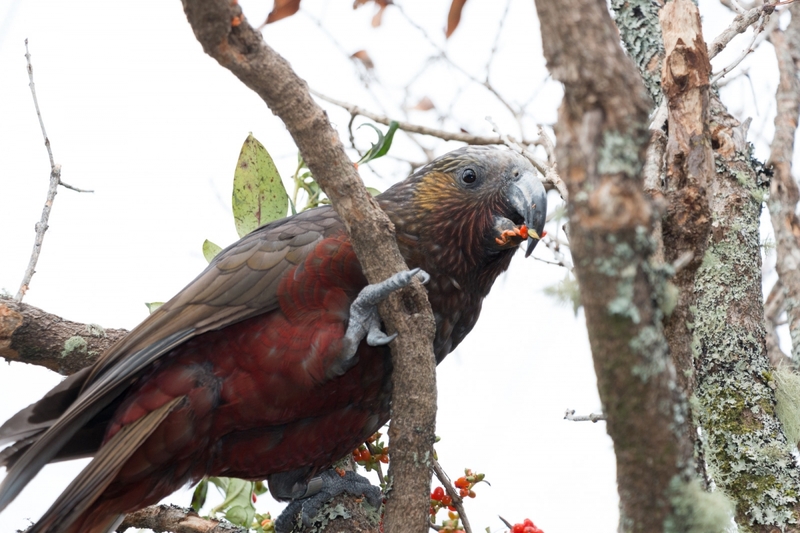 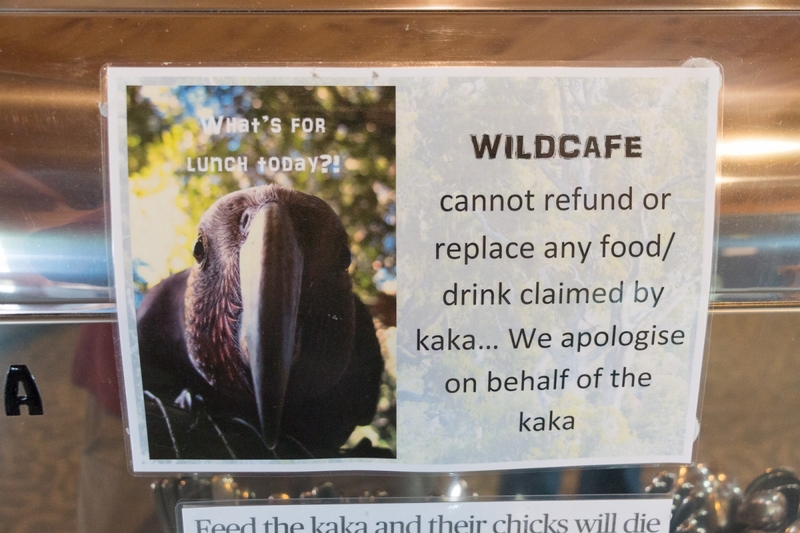 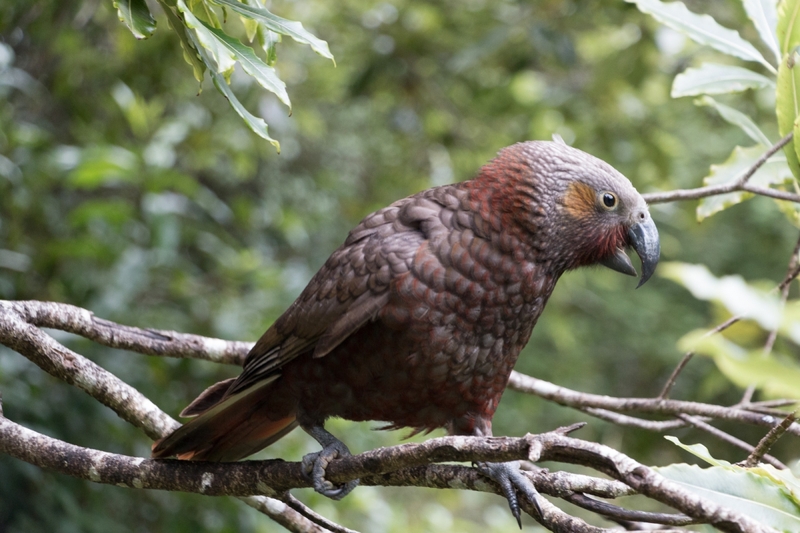 I had been hoping that some remained at Mount Bruce, but alas they had all been returned to Campbell Island some years ago, so we didn’t get a chance to see them, but we did get a chance to see other birds – some like the Takahe and Kaka we’d seen at Zealandia the previous day, others like the Kakariki, and the Kiwi we hadn’t seen yet. 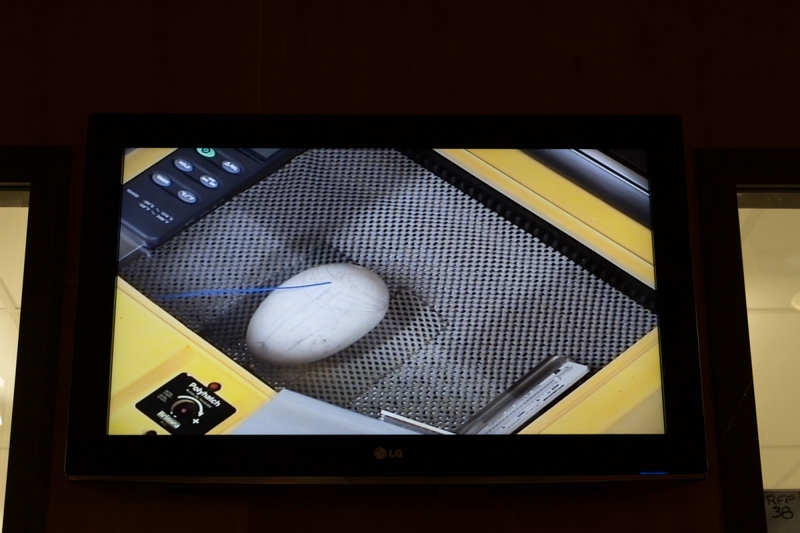 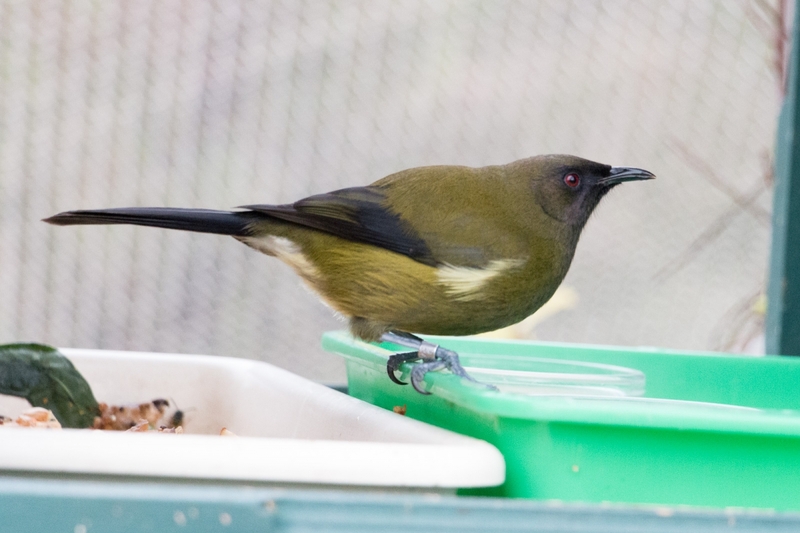 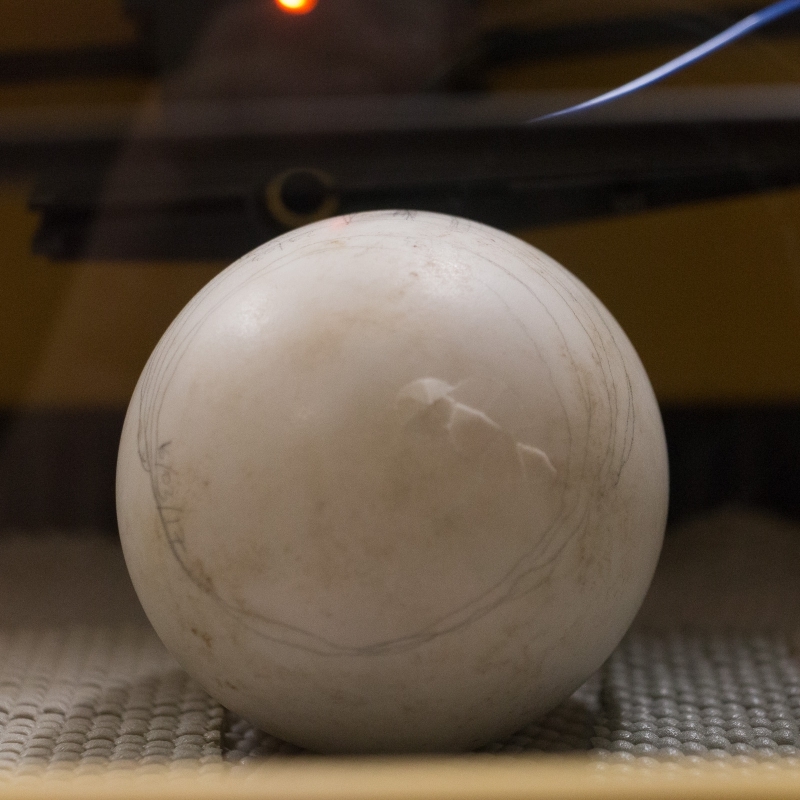 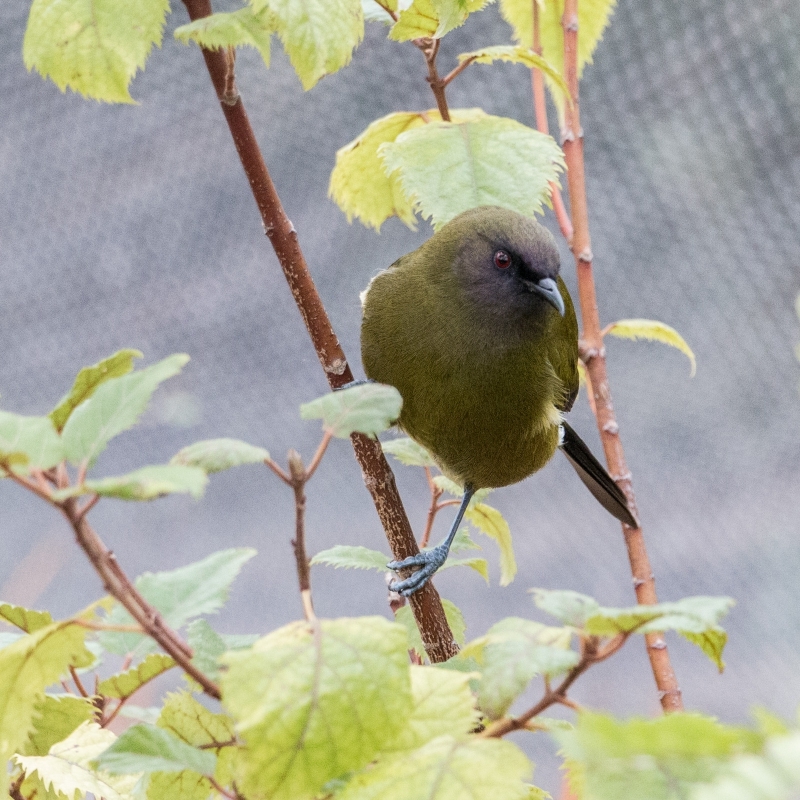 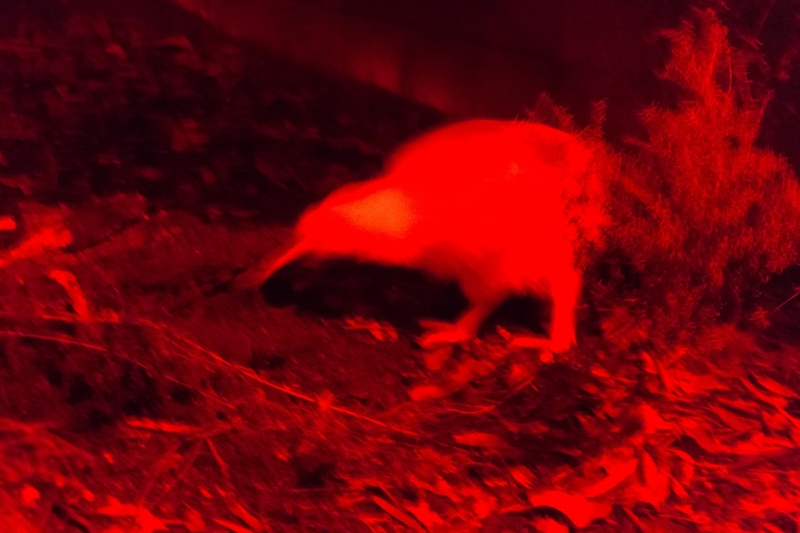 A couple of particular highlights – the Kiwi egg in the incubator that we could see where the chick inside was pipping away at the shell ready to break out, and also seeing the very rare white Kiwi Manukura running around in the darkened enclosure foraging for food. 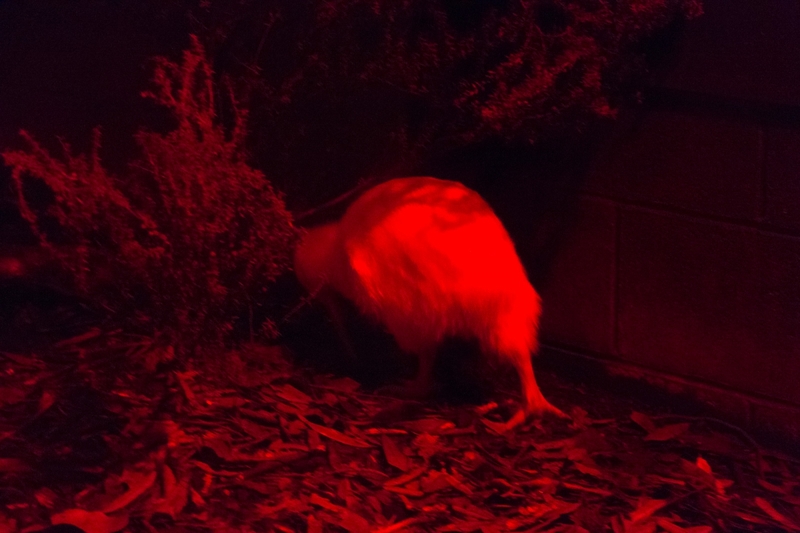 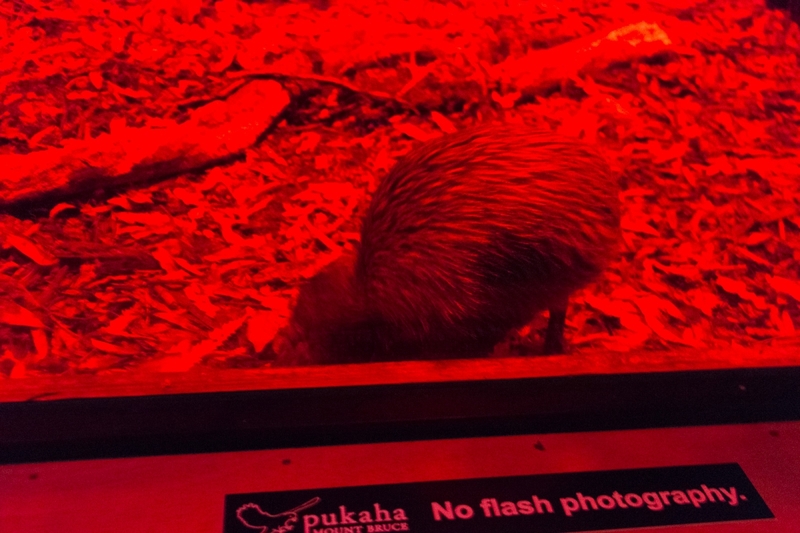 Since the Kiwis are nocturnal, they are very hard to see in the dim light available in the enclosure, but we did get to see the pair of them. 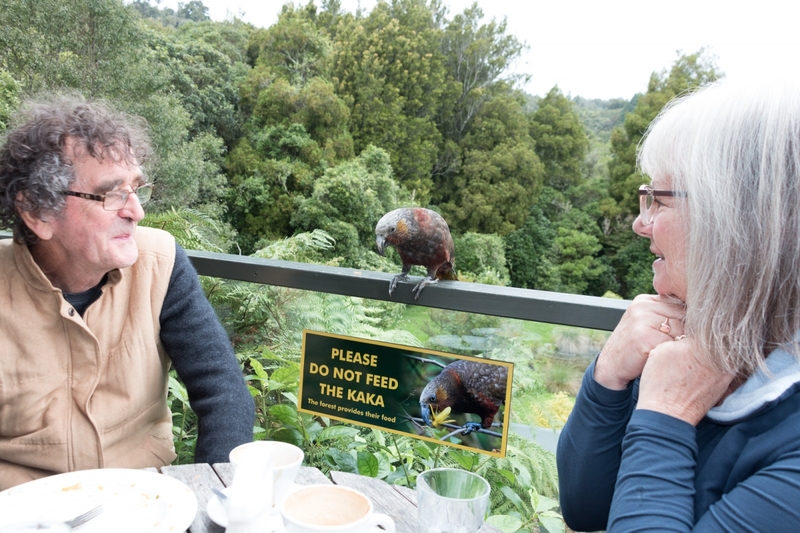 And a great visit with Marlene – Marlene and I were at school together from 1962 when we were both 7 year old founding pupils at Fernlea School in Wainuiomata, through to the end of 1971 when she finished her 6th Form year and went off to journalism school – 45½ years ago – we hadn’t seen each other since until this day.